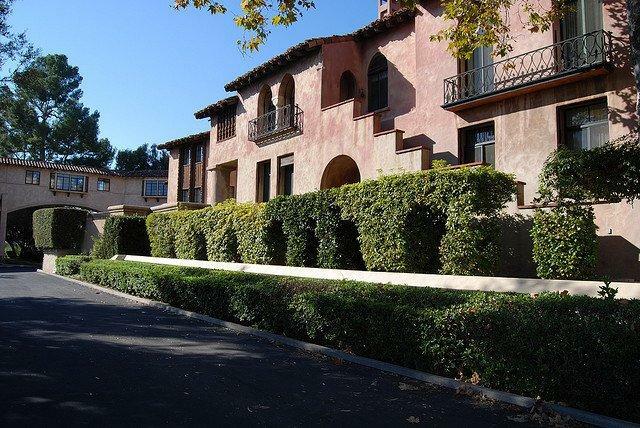 Katy Perry has won a 2-year long battle to purchase a Los Feliz convent. LOS FELIZ—A Los Angeles Superior Court judge sided with Katy Perry on Tuesday, March 14, in her fight to buy a $14.5 million Los Feliz convent. The ruling by Los Angeles Superior Court Judge Stephanie Bowick ends a two-year battle involving the pop-singer, Sisters Rita Callanan and Catherine Rose Holzman, entrepreneur Dana Hollister, the Archbishop of Los Angeles, José H. Gómez, and Pope Francis over the sale of the eight-acre Waverly Drive property. In 2015, the sisters struck a deal to sell the convent to Los Angeles Restaurateur, Dana Hollister, who sought to turn the property into a boutique hotel, for $44,000 upfront and upon agreeing to a contingent promissory note. Hollister has since registered the deed and moved into the property. The Los Angeles Archdiocese moved to nullify the sale, presenting the court with a letter from the Vatican, which stated clearly, in Latin, that you needed the permission of the Archbishop to sell church property. The transaction was invalidated by the court on the grounds that the Vatican had already addressed the matter. Archbishop Jose Gomez sold the convent to pop-star Katy Perry for $14.5 million, which included $10 million in cash and an agreement to provide an alternative property for the house of prayer worth $4.5 million. The eight-acre hilltop Los Feliz property is comprised of a 22,000-square-foot mansion with 60 bedrooms and 21 bathrooms. The property was designed by Bernard Maybeck in 1927 for Earle C. Anthony, an American businessman and philanthropist. At that time, it was known as the Anthony House. Sir Daniel J. and Countess Bernadine Murphy Donohue purchased the estate in the early 1950s. In 1971, the two donated it to the Sisters of the Immaculate Heart of Mary, and the property became known as the Cardinal Timothy Manning House of Prayer for Priests and the Sisters of the Immaculate Heart Retreat House. “The court finds that the sisters did not have the authority to sell the property to Hollister. The Pope did not consent to the sale of the property to Hollister and there was no written approval from the Holy See or the archbishop,” said Bowick during the ruling. Perry now needs a final approval from the Vatican to move into the convent.